Step 1 - Create a circle applying this circle will create points (A,B). Step 2 - Place a point anywhere along the circle, which will come out to point C. Step 3 - Use point C to create another circle and connect it to the center. Step 4 - Then you make an intersection point onto the two circles. Step 5 - Repeat these steps to make the petals on the outside. 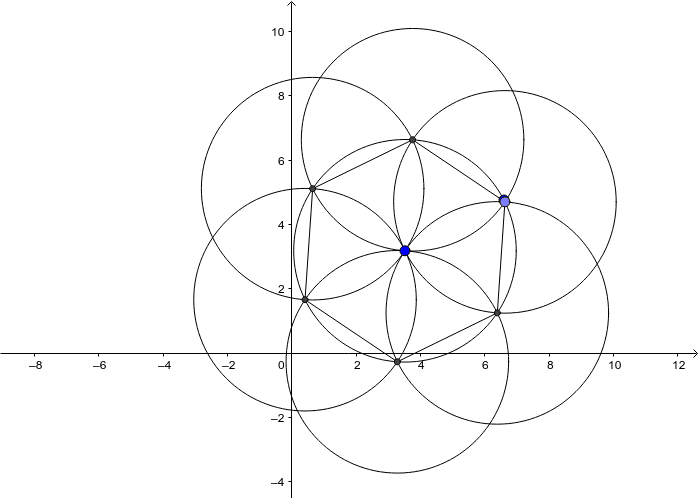 Step 6 - If you want to create a hexagon besides your daisy, you select two points such as (C,D) with the segment tool and apply to the rest.